Heritage Edition Which Includes, Heritage Edition Unique Exterior Graphics, Heritage Edition Yellow Interior Trim Details, Leather Wrapped Steering Wheel with Yellow Trim, Gloss Black Outside Mirrors. 3.7 Liter V6, 6 Speed Manual Transmission, 18 Black Finish Aluminum Alloy Wheels, HID Headlights, Rear View Monitor. 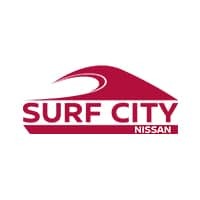 We are Orange County's Fastest Growing Nissan Dealership. We make purchasing a vehicle easy and hassle free! Leave happy or your money back!!! Roadster - 3.7 Liter V6, Power Convertible Top, HID Headlights, Rearview Monitor, Nissan Hard Drive Navigation System, Leather Appointed Seats, Bose Premium Audio System, Homelink Transceiver, Upgraded 19 Rays Forged Wheels, Nissan Sport Brakes, Limited Slip Differential. Safety Features, 4 Wheel Disc Brakes, ABS Brakes, Anti Whip Lash Front Head Restraints, Dual Front Impact Airbags, Dual Front Side Impact Airbags, Front and Rear Anti Roll Bar, Integrated Roll Over Protection, Low Tire Pressure Warning, Occupant Sensing Airbag, Overhead Airbag. We are Orange County's Fastest Growing Nissan Dealership. We make purchasing a vehicle easy and hassle free! Leave happy or your money back!! !